Rear Admiral Johnny Borland, Commandant of the Belize Coast Guard, extended an apology to senior reporter of the San Pedro Sun newspaper, Jorge Aldana, after he reported of intimidation by members of the Coast Guard in San Pedro on Saturday, November 16. The apology was made by Commandant Borland on Friday in San Pedro. Aldana told Amandala that he accepted the apology from the Coast Guard, and considers the matter closed. The apology came after an investigation was carried out by the Coast Guard, the police, and the editor of the San Pedro Sun. Aldana reported that he was made to lie down on the ground by members of the Coast Guard, and a gun was placed at the back of his head; his camera was taken and the photos he had taken were deleted from his cameras, and also from his cell phones. The Coast Guard agreed that his camera was taken away and they deleted the pictures of Coast Guard officers on the camera, but said that it was done for operational security purposes. The camera was then returned to him. According to the San Pedro Sun, on Saturday, November 16, Aldana was assigned to cover a shooting incident in northern San Pedro involving civilians and members of the Belize Coast Guard. He located and followed a San Pedro police mobile unit travelling from the boat in the lagoon to the Dr. Otto Rodriguez San Pedro Polyclinic II, where a Coast Guard vessel was docked. According to Aldana, he followed a police truck that had three armed Coast Guard officers in blue uniform, and one police officer in plain clothes riding in the pan. The truck was transporting two men seated inside. They were bleeding and appeared to have head injuries. While Aldana followed directly behind the truck, he took several photos of the individuals who were in the pan of the truck until they reached the end of Jewfish Street. Aldana claimed that he stopped about 300 feet from where the police vehicle stopped. He was then approached by four Coast Guard officials, while the others watched from a distance, making a formation that blocked his free passage. Aldana said that he identified himself to the officers, and three of the Coast Guards pointed their rifles at him and one approached him and asked what he was doing. Aldana claimed that he again identified himself as a senior reporter with the San Pedro Sun. He was then told to put his hands over his head. When he asked what the problem was, he was told to comply. After he put his hands on his head; the officer took his phones (two phones) from his front pocket and his wallet from his back pocket. The officer of the Coast Guard then removed the chip from his DigiCell phone and put it into his phone. Aldana said that the officer deleted his photos, and also, all of the contacts from his SMART phone. They then ordered him to lie down on the ground and put his hands on the back of his head, facedown, then a Coast Guard put his rifle to the back of his head. Aldana said that while he was on the ground, another Coast Guard officer went through his carrier bag, which was on the seat of his golf cart, removing everything. He said that when he tried to look up to see what was happening, the Coast Guard holding the gun to his head used the tip of the barrel of the rifle to turn his face away, so he could not observe what was happening. Aldana said that after they removed the chip out of his camera and dismantled his digital voice recorder and tossed all of his belongings onto the ground, they ordered him to get up. The three San Pedro policemen who identified him to the Coast Guard officers were present during the ordeal. After he was released, Aldana made a report to the San Pedro police and the San Pedro Sun, after which an investigation was carried out by the two bodies, as well as by the Coast Guard. The Coast Guard said that Aldana was held against a wall and searched to ensure that he had no weapons on him, since he was within the area of operation of the Coast Guard team. Officer Commanding the San Pedro Police Formation, Luis Castellanos, said that police officers on the scene said that at no time were any weapons aimed at Aldana during the incident. During the investigation, police announced that Corporal Rodriguez of the San Pedro police, who was present at the scene, had confirmed that the Coast Guard instructed Aldana to put his hands over his head and he was then searched. Rodriquez also confirmed that Aldana’s bag was searched, but he did not see what was done with the camera memory card. 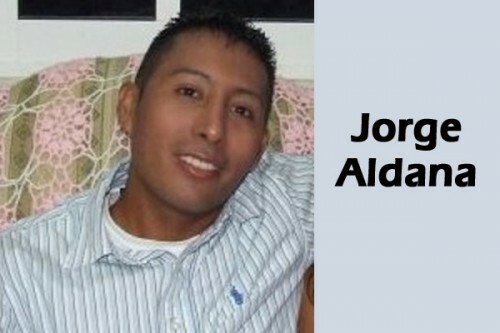 Rodriguez further said that Aldana was not asked to lie on the ground with his hands behind his head, and there were never any threats to shoot him. The Corporal reported that what Aldana said was not what actually occurred. According to the San Pedro Sun, both Rodriguez and Castellanos also stated that the other two police officers who Aldana claimed were at the scene at the time did not arrive until after the fact. ASP Castellanos reiterated that for the safety of officers, there are times when photographs cannot be shared with the public. Belize Coast Guard Lt. Commander Elton Bennett, on Thursday, November 21, said that he conducted interviews about the incident, but a senior Coast Guard officer who was present during the incident reported to him that no such thing happened to Aldana. The officer told him that yes, Aldana was searched, and yes, the content of the memory cards on his camera and phones was deleted, but at no time were weapons aimed at him, and at no time was he placed on the ground. Both Rear Admiral Borland and Deputy Commandant Bennett said that they will continue to investigate the incident, and if it is found that the Coast Guard officers intimidated Aldana they would be dealt with severely. Aldana said that he accepted the apology, and said that he will continue to work closely with the Belize Coast Guard and the police.